When the chance arose to travel to Kenya and document the DIFD funded Bees abroad project, it was an opportunity too good to turn down. Landing in Nairobi on my birthday and leaving a young family behind in London, I wanted to maximise this opportunity to reflect to the best of my ability the impact beekeeping has on the lives of people benefiting from the Bees Abroad project in Kenya. I was collected by the Executive project manager David Njuguna and our driver Jessie Maina and was taken to Nanyuki to the proje ct headquarters. David is a very knowledgeable beekeeper and I was quickly acquainted to the cultural differences in bee keeping together with the social customs in Kenya (lots of praying at every opportunity). 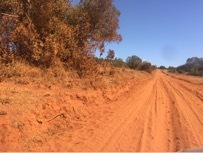 During my short stay we visited 7 groups and two schools, with most days starting early and finishing late, with hours spent on very dusty and often bumpy roads. Our first stop was visiting a honey processing unit in Ruai. The centre had been refurbished with the support of Bees Abroad after being closed for many years. The centre was originally opened in 1978 by the Canadian High commission but eventually closed down as interest and knowledge about bees declined in the local area. Since 2012, with the support of Bees Abroad, the centre which contains a honey refinery, a small meeting space and a couple of storage rooms has rejuvenated the beekeeping community in the area with up to 200 bee keepers benefiting from the centre. 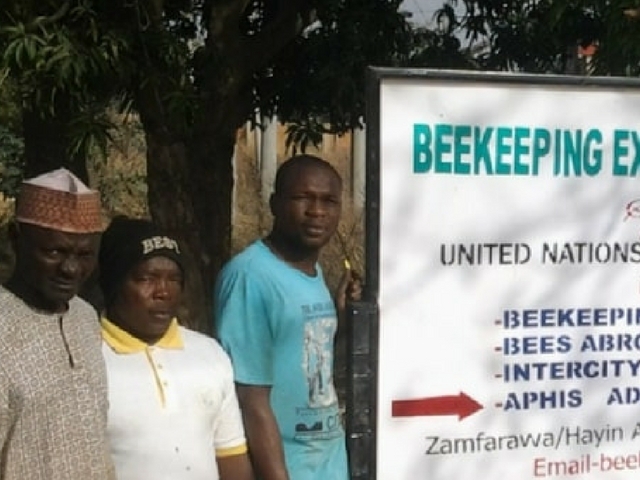 Group Chairman Josphet Kiriungi, declared his group have benefited greatly from the work of Bees Abroad as they received training in beekeeping and capacity building. The Ruai group have also been working closely with Bees Abroad’s Nanyuki based marketing officers. Marketing the honey has been the biggest challenge for the Ruai group. They have formed a cooperative, registered with various government agencies and are certified by the Kenya Bureau of Standards to legally promote/sell their honey and other hive related by products to large superm arkets. 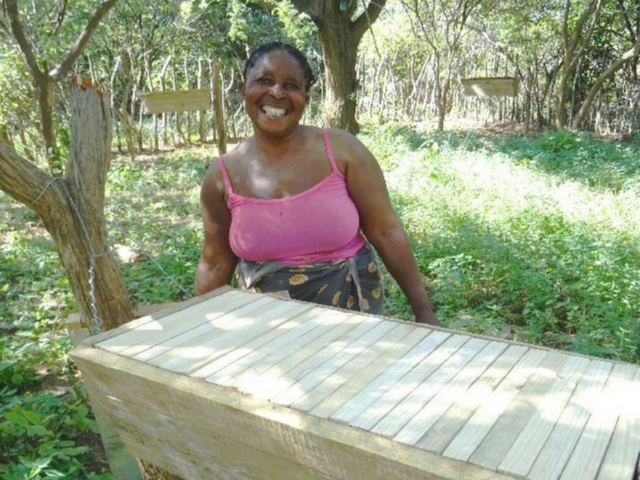 Mary, a part time employee with Bees Abroad, feels her jobs has an immense impact on the Kenyan beekeepers as she tries to connect local bee keepers directly with shops and chain outlets, bypassing any middle parties. 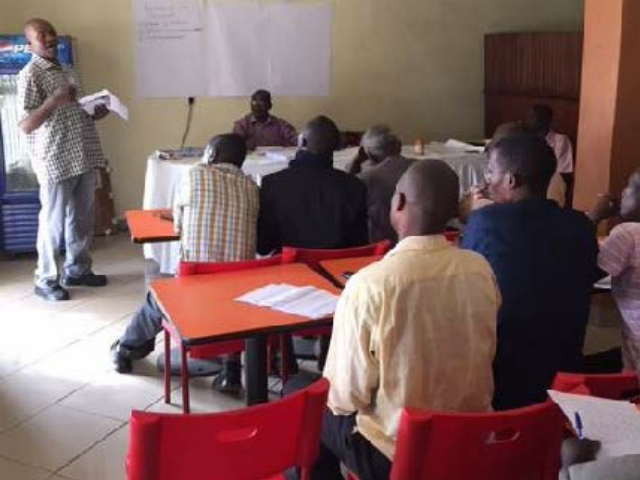 The marketing officers regularly have to conduct market research and surveys on honey and wax products as they provide support to a range of clients – from small groups in semi-arid villages to cooperatives in cities and towns. Mary claims her work has helped many famers to earn an extra income. She noted that the extra income has a massive impact on their families as they can eat better than before and also pay towards school fees for their children. Apart from the honey yield, I noticed how groups try and maximise all the other by products they gather during their harvests. The group in Mukuri were very interesting – they physically showed me how they created a really popular cream from the beeswax in under 30 minutes.